I've said before, I'm really new to the world of primers. I haven't ever tried out one for the face and have only ever used the Urban Decay Primer Potion as as base for my eyeshadows. As the heat is rising it is becoming all the more important to me to find something that will hold my make up in place all day. 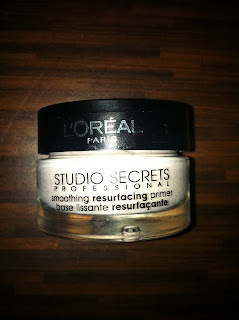 I have been trailing the L'Oreal Studio Secrets Professional Smoothing Resurfacing Primer (£14.29) for about 6 weeks now, as I think you really need to give these products a good go before you say whether you love or hate them. This primer is aimed at a more mature market as it is meant to mask wrinkles as well as smooth over any uneven textures in the skin. However it has worked perfectly on my 'almost' 20-year-old skin. The product itself is really smooth and it glides onto the skin and leaves it feeling AMAZING. I couldn't stop feeling it the first time I wore it, it was so smooth and velvety. 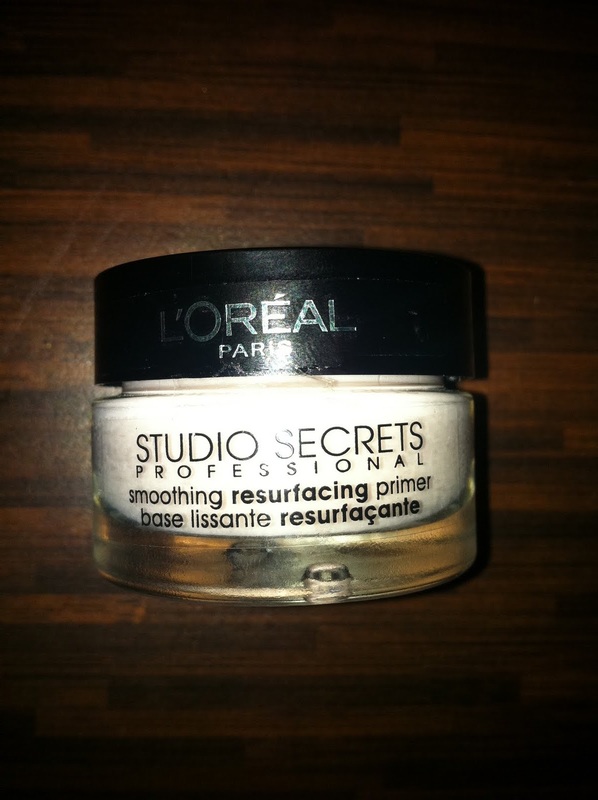 It easily blended into the skin, and a little product does go a long way. I did find that after using this my make up stayed on longer and my foundation and powder etc did not need retouching as much as usual. My natural oils were also controlled, not in a way which kept me matte all day, but where it left me 'dewy' as the day went on. I felt that blemished could be covered so much easier when I used this, they had a better texture (sounds gross I know) and so concealing was far easier. After using this everyday for 6 weeks I still have more than half of the product left too! Great value for money in my opinion. I would definitely recommend this to you with older skin, as the silicone texture will fill in any creases you may have and provide a great flawless base for your make up. L'Oreal have a great range of primers for every skin problem: A mattifying one for oily skin, a green one for redness in the skin and a pink or peach tinted one for evening out light or medium skin tones. There are so many primers out there, whether you are looking for high-end or high-street, there will be one to suit your needs. They are a definite must for those long Summer days ahead of us. I want to give some other primers a go, what would you recommend for combination skin?